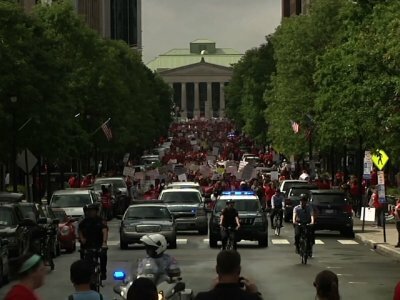 RALEIGH, N.C. (AP) — Thousands of teachers filled the main street of North Carolina’s capital Wednesday demanding better pay and more funding for public schools, hoping to achieve what other educators around the country accomplished by pressuring lawmakers for change. Teachers protest in North Carolina. 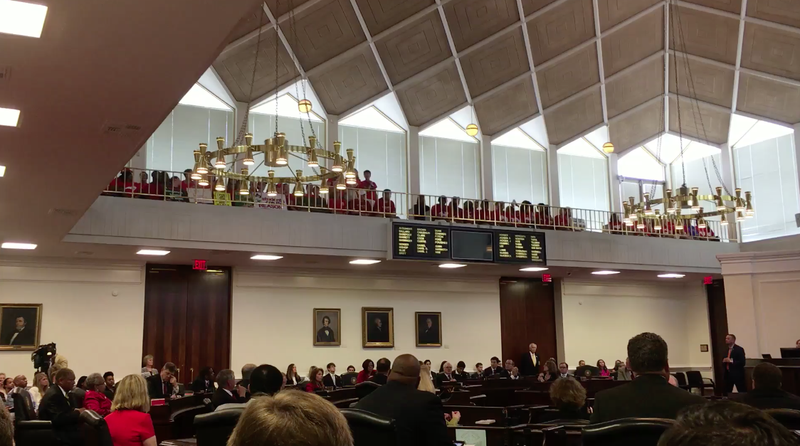 The demands of their main advocacy group, the North Carolina Association of Educators, include raising per-pupil spending and pay for teachers and support staff to the national average, and increasing school construction to match the state’s population growth. State Senate leader Phil Berger and House Speaker Tim Moore, both Republicans, have made clear they have no plans to funnel more money to classrooms by postponing January’s planned tax cuts, as Cooper has proposed. And Republican Sen. Bill Cook said he thinks Wednesday’s march was mostly about supporting the Democratic Party in a political season. “A lot of people want to throw money at a problem, and that’s helpful some times. But you’ve got to be smart about what you’re doing with your money. What we’ve tried to do is put it into play in such a way that we reward people for doing a good job,” Cook said. But Rachel Holdridge, a special education teacher at Wilmington’s Alderman Elementary School, said lawmakers have let teachers down by failing to equip them properly to do their jobs. Despite 22 years’ experience, she said she drives for Uber to make ends meet. But she’s also concerned about basic school needs going unfunded.